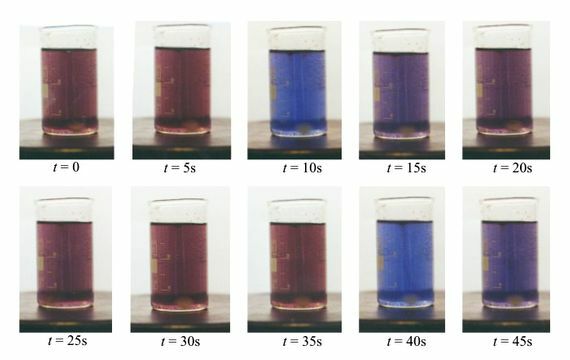 In 1951, the Russian chemist Boris Belousov sent to a scientific journal a study in which he described an astonishing discovery: while trying to simulate a metabolic process in the laboratory, he had discovered a chemical reaction that occurred and then reversed itself on its own, alternating between a yellow colour and a colourless state. Belousov couldn’t find any journal willing to publish his results, since they appeared to violate a fundamental law of nature. However, his work—which only came to light in 1959 through a brief presentation at a symposium—has become, half a century later, the foundation stone of a new discipline: chemical computing. This technological path is an alternative to quantum computing and conventional computing, capable of processing in parallel based on the same operating principles as our brain, promising futuristic applications, such as integrating in our body in the form of intelligent biosensors. Computing is based on the use of logic gates, which process a data input—usually in binary code—to produce a result or output. In the chips of our current computers, this function is carried out thanks to semiconductors, materials with a binary response capacity operating through the movement of electrons. However, this is not the only possible system; quantum computing, currently in the experimental phase, uses properties of subatomic particles that can also take alternative values, with greater versatility than semiconductors. Until the discovery of Belousov, no one would have suspected that chemical reactions could act as logic gates. According to the second law of thermodynamics, these processes are linear, spontaneously moving towards equilibrium through an increase in entropy, a measure of the energy of chaos; what is done cannot be undone, at least on its own. For this reason, Belousov’s work was rejected and ignored, until a decade later it was recovered, extended and made known by the biophysicist Anatol Zhabotinsky. 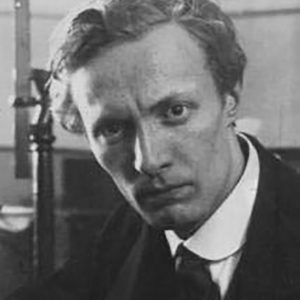 The Belousov-Zhabotinsky reaction was the first chemical oscillator, a non-linear reaction that moves alternately in one direction and then the opposite as the process itself modifies the concentrations of the ions present, and which only stops when the reagents are consumed. In a Petri dish, these reactions produce waves of colours that diffuse from different points and act as inputs; the interaction between these input data can produce as an output a new wave—a 1, in binary code. But this ability of chemical systems to compute by acting as logic gates is not something invented by humans, but was discovered, since it exists in nature. “We are already using chemical computers, because our brains and bodies employ communication via the diffusion of mediators, neuromodulators, hormones, etc.,” says computer scientist Andrew Adamatzky, director of the International Center of Unconventional Computing at the University of the West of England in Bristol. “We are chemical computers,” he summarises. For decades it was believed that the brain’s computational capacity lay in the neuron as a minimal unit, and that its subcellular parts were limited to acting as simple transmitters of the decisions made by the cell in terms of the inputs received. Today it is known that this is not the case, and that discrete parts of the neuron, such as the dendrites (the branches that receive the signals), the axon (which sends the impulse to other neurons), and the synapse (the space that communicates between them) are independently modulable, and therefore capable of computing by themselves. As this modulation is exerted through chemical agents, the brain is not an electrical computer, but an electrochemical one. The great versatility of each neuron confers on the brain a valuable quality. “The brain and chemical computers are parallel computers,” explains biophysicist Vladimir Vanag, from the Centre for Nonlinear Chemistry at the Immanuel Kant Baltic Federal University (Russia). Parallel computing is not within the reach of conventional microprocessors (though it is for quantum ones). In practice, this advantage that chemical computing possesses overcomes one of its drawbacks—its slower speed. But in any case, Vanag explains with an example how parallel computing compensates for any speed limit: if a micro-oscillator—equivalent to a processor—occupies a cubic volume of 100 microns on each side, a single cubic centimetre could contain a million of them, all working in parallel. Thus, “we can increase the number of micro-oscillators by many orders of magnitude and overcome the speed of conventional computers,” he says. Say goodbye to Moore’s law; with chemical computing, a small increase in volume is enough to multiply the processing capacity. This is the secret of the human brain, slower than any computer, but more powerful than all of them. In addition, chemical computing brings other crucial advantages. “It should work without electricity,” says Vanag. “No viruses, autonomous regime of working, and extremely high efficiency.” And all this while using just a few cheap chemical reagents. 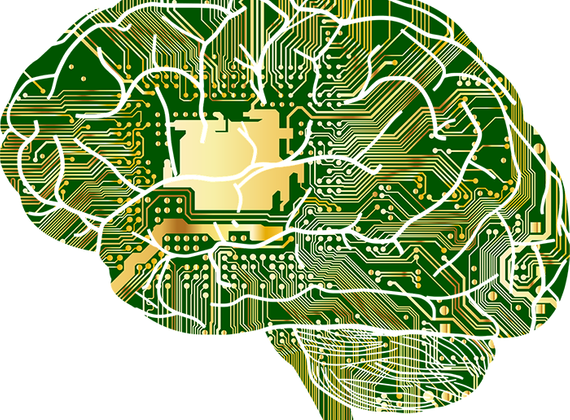 Thanks to these qualities, chemical computing is emerging as a promising alternative to simulate the human brain. By building bottom-up systems, starting with small oscillator networks and adding more and more layers of complexity, scientists are learning how cognitive functions such as image recognition or decision making appear.